The SB7050E is simply fashionable! It has 120 embroidery designs, 5 embroidery lettering fonts, and 120 frame pattern combinations. Maximum embroidery field is 4″x4″. 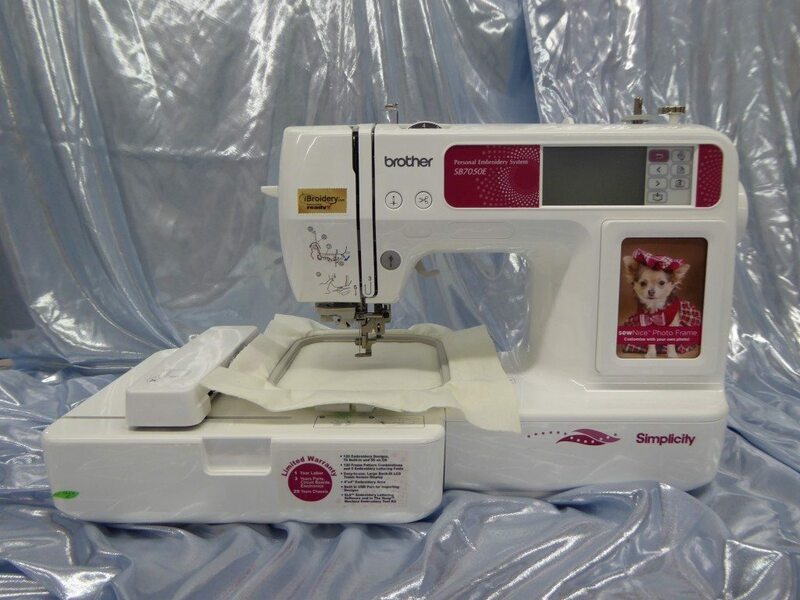 Features a push-button thread cutter and USB port for design input. Includes ELS™ Embroidery Lettering Software – a $119.95 value! and In The Hoop™ Tool Kit – a $29.99 value!